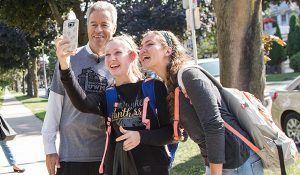 At UWM, students are our top priority, focusing on retention, graduation, student life, and quality of educational experience. 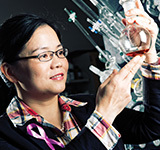 There is nearly $60 million spent on research at UWM. We are building on this through collaborative, inter-disciplinary grant activity and partnering. 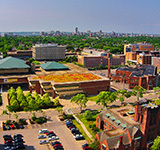 UWM has a strong proven track record in the community, with 125 different organizational partnerships and as a 2015 recipient of the Carnegie Foundation for the Advancement of Teaching classification. 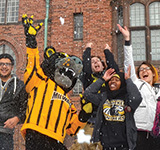 All of us—faculty and staff, students, alumni, friends, donors,—are telling our stories of UWM to build awareness and case for support in current environment of de-funding public higher education. 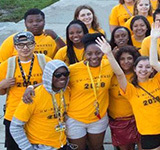 At UWM, we are only as strong as our talent foundation. 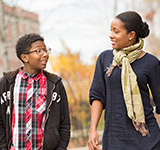 Everything we doas faculty and staff has a transformative ripple effect on our students and the region.